Luxury Homes in Oyster Bay Estates, Sarasota FL Oyster Bay Estates is a none gated, West of the Trail community with no through traffic. Homes are west of the Tamiami Trail or Hwy 41. Traveling from Tampa International Airport to Oyster Bay Estates takes about 90 minutes. Restaurants, shopping and professional locations are close to this Sarasota waterfront neighborhood as well as downtown Sarasota's cultural venues. Search for a waterfront home with view of Sarasota Bay in Oyster Bay Estates. Many homes in this neighborhood need some help from your handyman. Search for an older home that needs some work. Call us to write the contract and get started. If remodeling overwhelms you, some homes in the Oyster Bay have been remodeled. Tear down the least expensive home in this Sarasota neighborhood and build your dream home. Oyster Bay Estates Homeowners Association is optional, and no deed restrictions to worry about here. 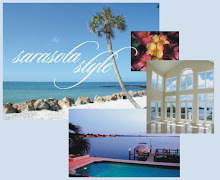 The Sarasota MLS currently reports 16 homes for sale in this Sarasota waterfront neighborhood. Prices in Oyster Bay Estates range from $549,000 for a 2 bedroom, 2 bath home with a wooded view to $5,495,000 million for a 6462 sq.ft magnificent Bayside home built in 2004. Sarasota's prestigious Field Club located in Oyster Bay Estates. School districts can always change so be sure to call the School Board for more information before your purchase your home if schools are important to your home buying decisions. Call us for more information on Sarasota Florida Oyster Bay homes or check our websites for updates on listings. For photos, virtual tours and information about Sarasota golf course homes and real estate for sale on Siesta Key and Lido Key. Visit our Sarasota blogs and multiple websites on the happenings in the Sarasota area.